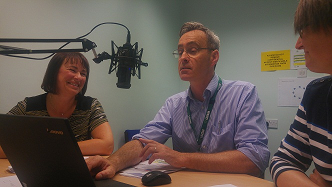 The first ever live SAGE & THYME webinar was broadcast last week (14 July). It was aimed at SAGE & THYME facilitators and it covered choosing useful scenarios for rehearsals in the SAGE & THYME Foundation level workshop. The session was hosted by Dr Joanne Thomas, the business lead for SAGE & THYME, and the presenters were Mike Connolly, lead developer of SAGE & THYME, and Elaine Bramhall, lead SATFAC trainer. Over 50 people attended the webinar and stayed for the whole session. Several facilitatorssent the team positive feedback after the event. A link to the webinar recording has been sent to all SAGE & THYME facilitators and key contacts. It is also available from the trainer area of the website.